Before we discuss some of Maya Angelou’s children’s books, we want to give you a brief recap of this incredible writer’s life. She was born as Marguerite Johnson in St. Louis, Missouri, and she became the first black woman director in Hollywood in addition to acting in numerous films, such as Porgy and Bess (1959), Roots (1977), and more recently Madea’s Family Reunion (2006). Yet cinema was only one of the ways through which audiences came to know Maya Angelou. As a Civil Rights activist, she worked for both Dr. Martin Luther King, Jr. and for Malcolm X, and she served as northern coordinator for the Southern Christian Leadership Conference (SCLC). In the following years, she lived in North Africa and West Africa, working as a freelance writer at moments of decolonization and independence. President Barack Obama awarded her the Presidential Medal of Freedom in 2010. Over the course of her life, Angelou received more than 50 honorary degrees, and spent much of her adult life as a professor of American Studies at Wake Forest University. Her most famous work of literature, I Know Why the Caged Bird Sings (1969) emerged out of her work with the Harlem Writers Guild in New York in the late 1950s, where she met writers such as James Baldwin. It was the first of numerous autobiographical works. She went on to publish many works of poetry, and actually wrote the poems for the film Poetic Justice (1993). Angelou read the first inaugural poem, “On the Pulse of Morning,” at the start of Bill Clinton’s presidency in the early 1990s. Angelou passed away in 2014 in Winston-Salem, North Carolina. Now that you know a little bit more about the widely varied life and work of Maya Angelou, we want to get to telling you about some of her books of poetry for kids. We have three books in particular in mind: Life Doesn’t Frighten Me (1993); Kofi and His Magic (1996); and My Painted House, My Friendly Chicken, and Me (2003). Life Doesn’t Frighten Me is an incredible book. 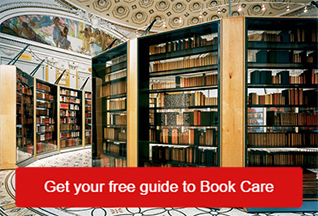 Not only does it contain a poem by Angelou, but it is accompanied by images painted by Jean-Michel Basquiat. Indeed, this children’s book is also an art book of sorts, introducing kids to poetry and painting of resistance. Basquiat was born in Brooklyn in 1960 and is known for his large-scale paintings. As the introduction to the book explains, “the artist’s powerful pictures are humorous, angry, and sad,” and “in them critics see connections to many of the great artists of this century—Jean Dubuffet, Jasper Johns, and Willem de Kooning, even Pablo Picasso.” Not unlike Angelou, “Basquiat’s great talent was to weave together the rhythms and textures of the city and the techniques and traditions of the fine arts.” This book ever-so-eloquently opens up the world of art and literature to children of all ages. In Kofi and His Magic, Angelou’s words are again paired with the work of an artist. 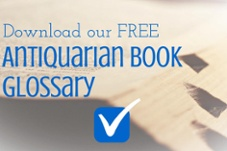 This time, her language is accompanied by Margaret Courtney-Clarke’s photographs. Courtney-Clarke is a photojournalist who credits some of her work in West Africa in the late 1980s to the power of Angelou’s words. While traveling in Northeastern Nigeria, Courtney-Clarke found solace and strength in Angelou’s autobiographical writings. 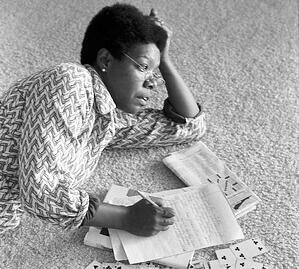 Her interest in Angelou’s work led to the book Maya Angelou: The Poetry of Living (1999). 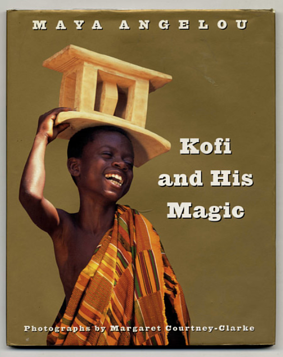 Kofi and His Magic is also set in West Africa, and tells the story of a young boy named Kofi who uses magic to travel beyond his home town of Bonwire in Ghana, known for its product of Kente cloth. Last but not least, Angelou and Courtney-Clarke worked together again on My Painted House, My Friendly Chicken, and Me in the early 2000s. It tells the story of Thandi, a young South African girl, and contains numerous photographs of the Ndebele women and their magnificent art. If you are looking for a children’s book that can open up the worlds of art and literature, you should look no further than those containing Maya Angelou’s poetry and prose. 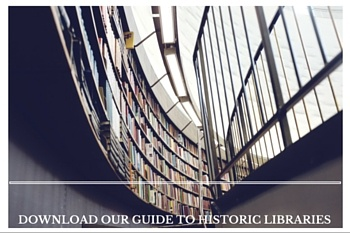 We encourage you to seek out the titles we mentioned in your local bookstore, and to look for first editions that you might add to your collection of children’s literature or art books. Remember, these books are fantastic for kids, but they’re just as powerful for adult readers and Angelou collectors, too.